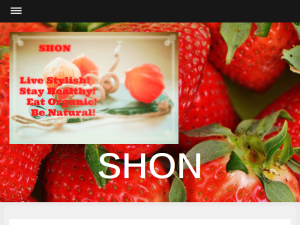 We are SHON that means Stylish, Healthy, Organic and Natural. SHON is a label, where a single letter makes the difference. Ultimately it is about more than just clothes or organic food. It is about a clear style, which feels good. In the heart and the skin. Out of respect for nature. Out of love for the world in which we want to live. This what your SHON Blog Ad will look like to visitors! Of course you will want to use keywords and ad targeting to get the most out of your ad campaign! So purchase an ad space today before there all gone! If you are the owner of SHON, or someone who enjoys this blog why not upgrade it to a Featured Listing or Permanent Listing?